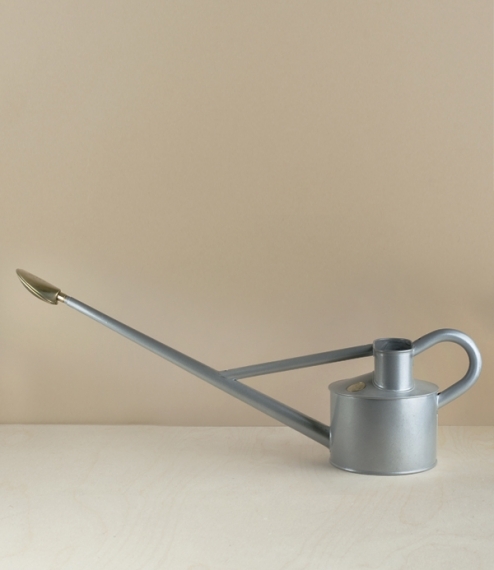 Founded in Clapton, East London - although long since having migrated to the West Midlands - in 1886 Haws are thought to be the oldest watering can company in the world. The long reach design dates back to John Haws' early improvements to a French made water-pot whose flaws it is said were to be his inspiration. Still handmade in the UK these 4.5 litre cans are galvanised, lacquered and supplied with a brass rose for a minimum 20 year life expectancy, assuming they are protected from frost and stored dry.